At Canadian beauty company Lush, shampoo bars have become one of the company's hottest products. The company recently introduced its new Godiva and Hybrid bars -- bars rich in conditioning butters such as shea and coconut. That brings the company's number of shampoo offerings to eight. Shampoo bars are one of the hottest trends in the haircare industry, with companies both large and small coming out with new a diverse array of solid products. Fillmore said the economics and environmental aspects of shampoo bars are a big part of their popularity. With a typical Lush shampoo bar, the customer gets 50 to 80 washes, depending on the length of the hair. That's the equivalent of three 8 oz. bottles. With liquid shampoo, the user typically 'sees a lot of squish onto the shower floor,' she says. 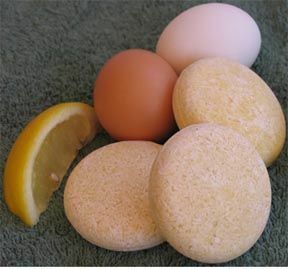 In many cases, a shampoo bar can be used for the hair or body, which adds to the cost savings. Because a shampoo bar doesn't require any plastic packaging, it tends to be more environmentally sensitive. Usually, they don't contain any preservatives. Shampoo bars tend to work best for active people who like the convenience of a bar -- the 'spartans' as opposed to the 'sybarites,' Fillmore says. Most liquid shampoos are sulfate/detergent based, while most poo bars are soap-based, said Jamyla Bennu of Oyin Handmade, whose Grand Poo Bar is detergent-free. Bennu explains that shampoo bars are made from saponified oils, and many makers add additional oils for their moisturizing and nourishing properties. But shampoo bars aren't all the same. They can be made with a wide range of ingredients. For example,Chagrin Valley Soap and Craft Co. offers such bars as Carrot Milk & Honey, Lavender & Spice, Honey Beer & Egg and Herb Garden. Oyin's Grand Poo Bar contains moisturizing oils and butters like castor, shea, and cocoa. Some, are 100 percent natural. Others are not. 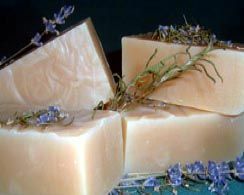 Mia Simon's Boutique offers a wide range of 100 percent natural handmade gourmet soaps. The soaps, which can be used for hair and skin, contain nourishing and moisturizing natural ingredients. 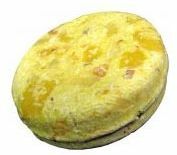 The Ultimate Butter Soap, for example, contains avocado, cocoa, mango and shea butter. * Section hair sloppily and rub the bar on your scalp. * Put the shampoo bar down and use hands to work into a lather. Be gentle, keeping the hair lather concentrated on your scalp at this time. * DO NOT do that 'shampoo commercial' thing and make one big pile of sudsy hair on top of your head. If your hair is highly textured, coily, or curly, this can be a recipe for intense tangling! * Instead, maintain your sloppy sections and slowly work the lather around the scalp and out/down to the ends of your hair. Use your fingers — not your nails — to massage your scalp firmly. * Rinse well. again using the pads of your fingers on your scalp. * When you're done washing, add conditioner and detangle.Storage Tip: Cut bars into sections. Not tiny crumblish sections, but halves, thirds, or even quarters. In the shower, a bar of soap will disintigrate if it's wet all the time. By cutting into sections and storing the used portion in the container, and the other portions somewhere else entirely (like a drawer or cabinet), the rest of the bar stays dry and the whole bar lasts much longer.